Alaska Environmental Power wind farm in Delta Junction, Alaska. The Islanded Grid Resource Center (IGRC) hosted its annual Islanded Grid Wind Power Workshop in Fairbanks Alaska on April 28-30, 2016. About 60 attendees gathered for a full day to discuss the technical, financial, political, and human capacity challenges facing remote, islanded grid systems and the solutions for overcoming those challenges. Attendees included utility operators, researchers, technical experts, community and political leaders, financial experts and others. Participants were welcomed to the meeting by Evon Peter, the Vice Chancellor for Rural, Community and Native Education at the University of Alaska Fairbanks who underscored the need for Alaskans to have the opportunity to get the education and training necessary to operate and maintain all types of infrastructure in rural Alaska. 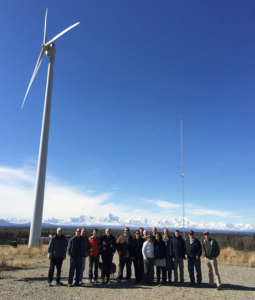 After the panel discussions on April 29th, many participants were also able travel to Delta Junction as part of an organized field trip to tour the 1.9 MW wind farm and talk to owner and operator Mike Craft of Alaska Environmental Power. In operation since 2007, the wind farm is one of two Independent Power Producers feeding wind energy into the state’s Railbelt Grid. It includes two EWT 900 kW turbines, one Northwind 100 kW, and seven 3kW Skystream turbines. Mike Pawlowski, Chief of Staff to Sen. Lisa Murkowski, talks about the federal energy bill. The IGRC Wind Power Workshop is as an annual event that brings together technical, business and political leaders to highlight the unique challenges and opportunities facing remote grid systems. 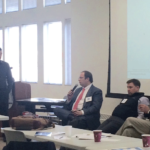 The Workshop also highlights Alaska’s leadership role in developing remote grid systems. 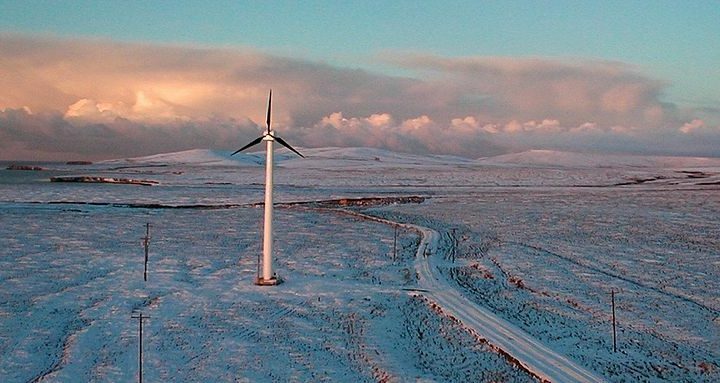 Over 70 remote communities in the state now have some form of renewable energy tied into their diesel grids, including more than 30 using wind. The IGRC is a collaboration between the Renewable Energy Alaska Project (REAP) and the Island Institute in Maine. 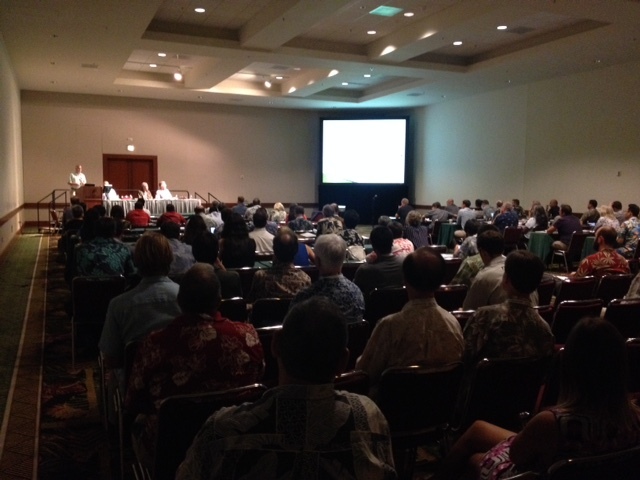 The two organizations joined forces in 2014 to start the IGRC to connect islands and islanded communities across the United States that can share information and expertise on energy challenges and opportunities, specifically those involving wind power. 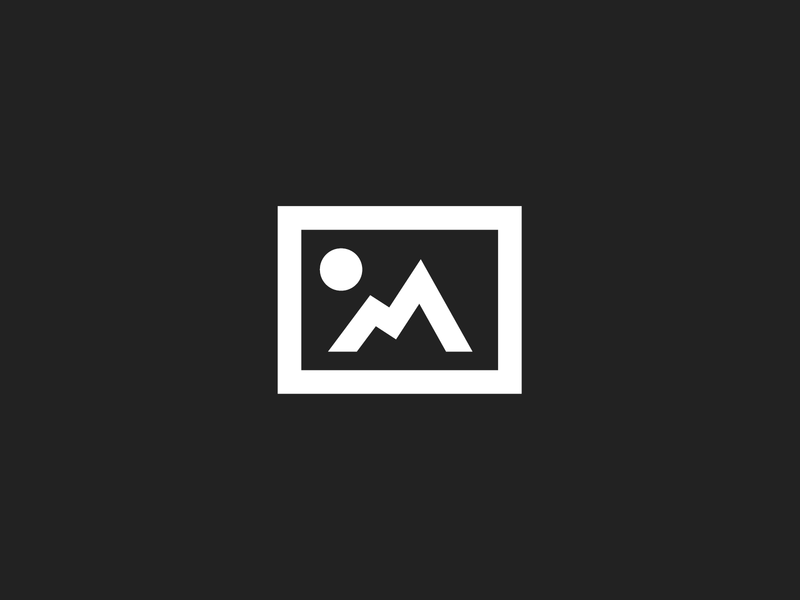 The Resource Center is funded through a grant from the U.S. Department of Energy’s WINDExchange program as well as a number of industry participants.